Adventure vlogger and globetrotting aficionado, Levi Allen, shares his 5 most important tips for recording audio on the go. Whether you're flying, driving or hiking to your next destination, if you plan on vlogging the action, your audio should always be on point. Read on to learn how to get your sound quality from zero to hero. This the basic principal for getting great audio on location. Make sure your mic is close enough to the source, especially with voices. The further away you are, the more you lose the depth of vocal character. 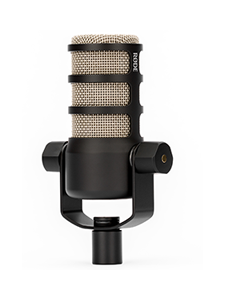 Interviews, B-roll, Dialogue – whatever it is, if you want great sounding audio, get that mic as close as possible. 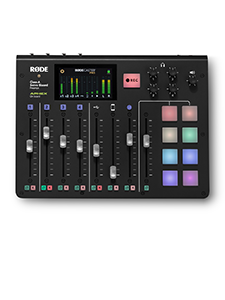 Audio that has peaking or digital noise is a pain to deal with. Fix this by recording the levels correctly on location. I like the peaks to land somewhere between -6 and -3db so I still have plenty of signal to work with but don’t experience any peaking issues when recording loud noises. I also use the safety track feature on the VMP+ to make sure I always have a backup track recorded at a lower gain. Syncing sound in post can be a big hassle. 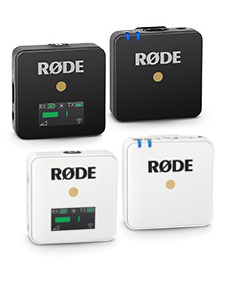 When using a recorder, I like sending the headphone out wirelessly to the camera using a RØDELink System. Sometimes this audio is good enough without the need to sync at all. When vlogging and adventure filmmaking, wind is a fact of life. Once it’s present in your audio though, there is no fixing it in post. Prevent this by using a Deadcat (plus your camera will have a furry friend)! It’s amazing how much stereo audio can add to your piece. A shotgun lives on my camera a majority of the time when shooting, but at each location I make a point to throw on the stereo mic for at least a handful of my B-roll shots. The sound of a location really starts to come alive in stereo and can make a big difference in the edit. I like throwing on a Stereo VideoMic Pro whenever I know I’ll be recording B-roll because it adds a lot of depth to the sound experience, especially when there’s a lot of action in the shot. And that's it! I hope you picked up some useful trips you can use when vlogging your next adventure.